The guests put their glasses back down on the table after toasting the bride and groom, and the bridesmaid continues her speech. The bridesmaid stands in front of the wedding party, with her back to the ocean. The light of dusk is illuminated by the candles on the tables. In this black and white photograph, we love to see the emotion captured on every face. 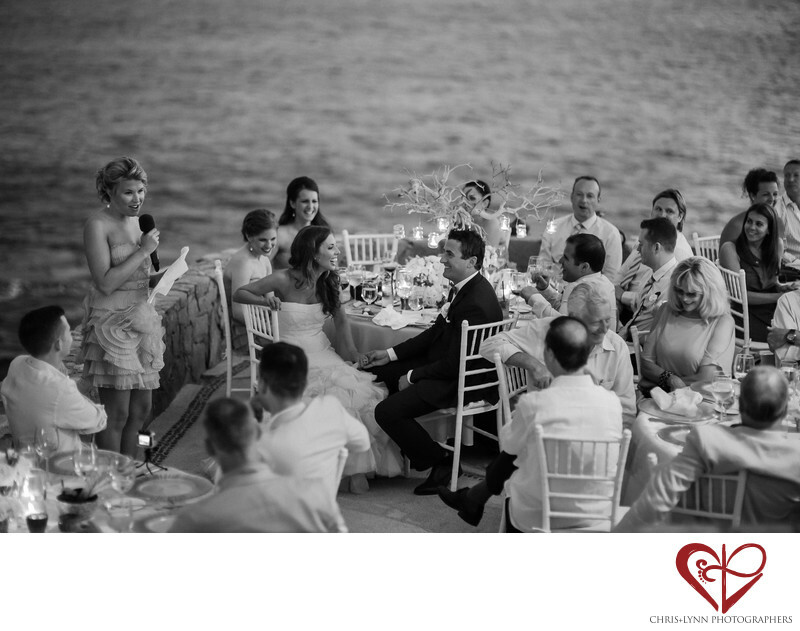 The bridesmaid captivates all of the guests in her audience with funny memories and kind words. The newlyweds sit side by side, holding hands. All of the guests giggle, and the bride and groom share a laugh at a hilarious story.